Absolute Twin Sands is a stunning resort with panoramic ocean views, contemporary apartments and first class service, all in a spectacular peninsula setting minutes from Patong on the stunning island of Phuket. Nestled between two perfect white sand beaches, the apartments and penthouses enjoy breath-taking views of the Andaman Sea. 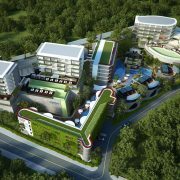 Location – Situated by the sea, this spa resort is 0.6 mi (0.9 km) from Tri Trang Beach and within 3 mi (5 km) of Patong Beach and Bangla Night Street. Banana Walk and Jungceylon XD Theater are also within 3 mi (5 km). We offer you a personel Inspection Visit of the Twin Sands Property in Phuket. This offer will give you time to see all the amenities the resort has to offer. Property Visits are a way that you may visit a location take in all it has to offer. at the end of the vacations you never know you may have purchased a property. Perfect for couples as for family fun. Our peaceful Absolute Nakalay Boutique Resort is the perfect Thailand romantic getaway, nestling in a quiet cove on Nakalay Beach, yet within minutes of the 24-hour heartbeat of Patong Beach. Situated in Ban Kammala, this beach resort is within 3 mi (5 km) of Kalim Beach, Patong Beach, and Phuket Fantasea. Kalim Bay and Tsunami Memorial are also within 3 mi (5 km). Here, luxury beachfront apartments offer heart-stopping panoramic views of the Andaman Sea, jungle-clad mountains and some of the world’s best…..
Modern Thai-style rooms, hot tubs and 5-star service await at Sea Pearl Villas. 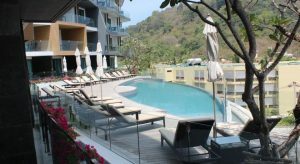 Featuring a peaceful hillside location, it provides Wi-Fi and a daily shuttle to Patong Beach for free. Offering a private balcony with a comfortable day bed, Sea Pearl Resort’s large rooms feature dark wood furnishings and abstract prints. They come with a flat-screen TV, DVD player and safe. Explore Phuket easily with assistance from the tour desk. Alternatively, take the free daily shuttle to Jungceylon Shopping Centre. The hotel is equipped with a fitness centre and a…..